We’re passionate about Science. Our team of seven staff enthuse our pupils, and alongside our purpose-built facilities, all focus is put on helping our pupils learn more about this key subject. 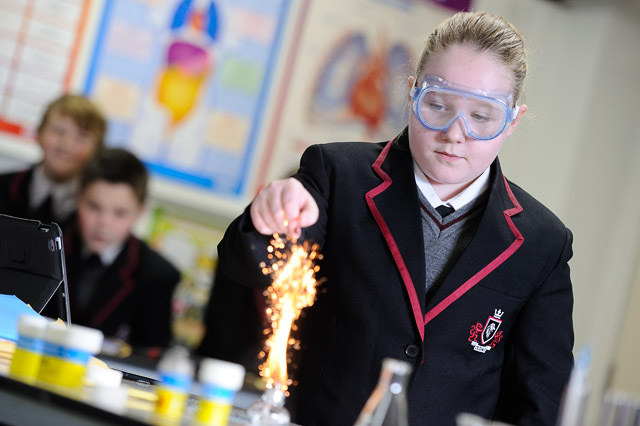 The foundation curriculum is focussed around ensuring we are able to find, nurture and ignite the passion in science in all of our pupils at King’s. 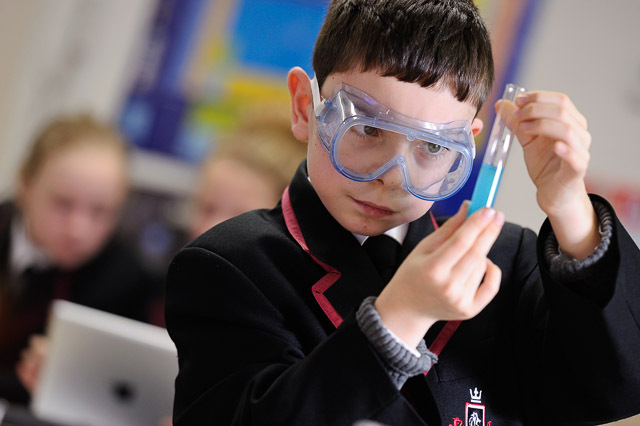 Pupils are taught a variety of content that covers the three main sciences in an engaging and challenging that helps develop our young scientists. Topics in the foundation currciulum range from electricity, space, energy to nutrition, evolution and genetics. All year 9 pupils complete the new Combined Science GCSE as a minimum with some pupils being given the opportunity to study triple sciences, biology, physics and chemistry. 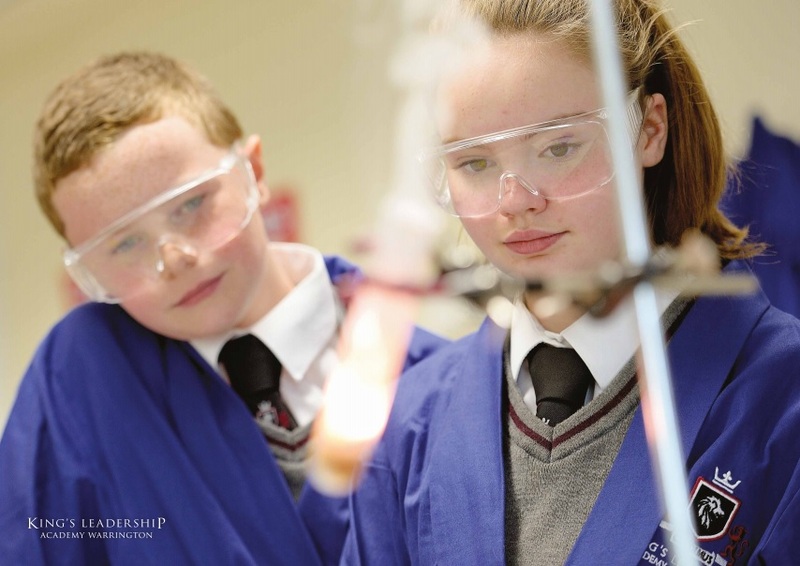 We start all pupils on the triple stream – we believe in having no glass ceilings in our lessons and so every pupil has the opportunity to study the sciences to a high degree of breadth and depth. When our sixth form opens we will offer the full suite of sciences at A-level – biology, physics and chemistry. We have staff with expertise in all three sciences who are looking forward to beginning teaching the future sixth form in our brand new labs. Super Learning Days – Every year the science department runs a super learning day. This is where we collapse the timetable and get pupils engaging with science all day. This year we joined with art and had a dinosaur themed day at King’s, a huge hit with the pupils. STEM Day – At the end of the year in project week the science department runs a STEM (science, technology, engineering and maths) day for all pupils in year seven, eight and nine. Various activities run by both staff and external professionals allow pupils to get a hands on approach to the wonderful world of STEM. We will also be looking into a trip to CERN, The European Organisation for Nuclear Research, close to Geneva. King’s Leadership Academy has received an award from the ESERO-UK (the European Space Education Resources Office) in recognition of the fact that we have shown significant use of the context of space in STEM subjects, worked with other organisations, shared resources and used space to enrich the curriculum.